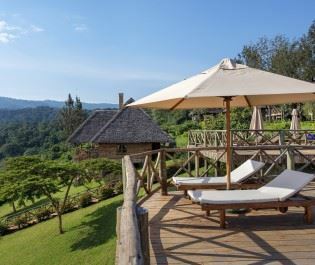 This classic luxury tented camp offers a deeper insight into the beauty of Ngorongoro Crater, boasting incredible views of hyenas, elephant, jackal and leopard and unrivalled access to the jaw-dropping crater floor. We love the décor style of the camp. 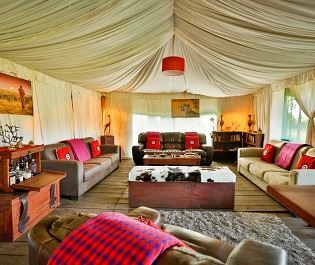 Contemporary colours meet explorer-style furnishings and textiles, creating a modern vibe in the 10 classic safari tents. All have their own en-suite bathroom with an indoor bucket shower, with a personal tent attendant to fill your bucket to your desired temperature from the outside. Eco-friendly, but with a touch of luxury too. They also have a little lounging area where you can enjoy your morning coffee before hopping on a picturesque game drive. Wander to the main area and you’ll find a spacious lounge and dining tent, with a great bar area and comfortable places to unwind. Dining on delicious buffet food in the tent is a lovely experience, but we’d also recommend enjoying an intimate meal elsewhere in the camp – the accommodating staff can find the perfect place for you. 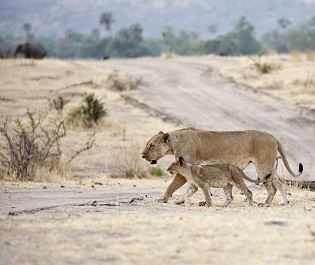 You could even pack up your lunch and enjoy it in the bush during your afternoon game drive. Exploring the Ngorongoro Crater is a breath-taking experience, and this wonderful camp creates many unforgettable moments here. Open all year round. Children over the age of six are welcome. The Highlands are one of our most unique properties. 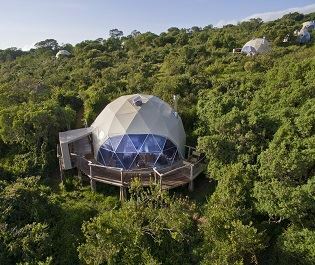 We're always enchanted by the dome exteriors and close proximity to Ngorongoro Crater. This luxury lodge is very indulgent indeed - we love the vibrant, colourful decor here, and the undeniable sense of class and sophistication. 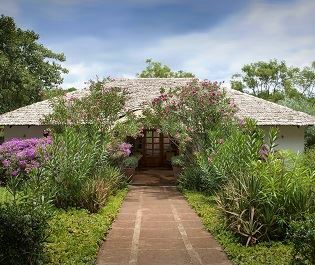 Sometimes you just need a touch of indulgence, and this elegant colonial lodge certainly ticks the boxes for a more lavish stay. 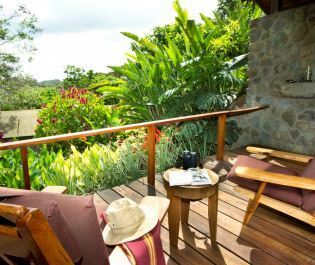 Delightful cottage accommodation on a working farm, halfway between Ngorongoro and Lake Manyara; perfect for recharging the batteries while still being close to everything. Luxury lodge that feels like a home away from home. 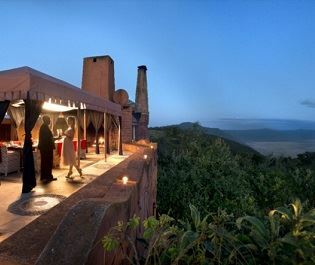 Set amongst the exotic valleys of Ngorongoro and ideal for a relaxed safari in the crater. 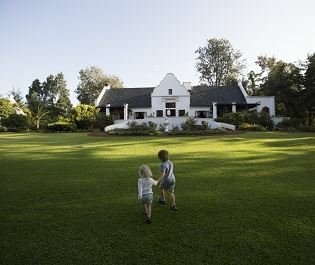 Old-world lodge with spacious suites and a cosy sense of grandeur; ideal for a relaxed multi-day safari or overnight on Tanzania’s northern safari circuit. 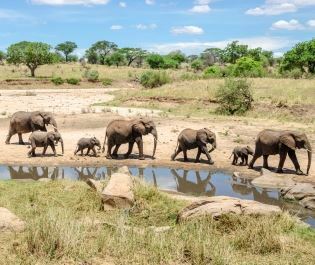 Tarangire National Park always offers an intimate, exclusive and unique safari experience, from the massive elephant population, to the luxury lodges. We're certain Serengeti's savannahs will take your breath away, not only with the wildebeest migration but with the phenomenal experiences and lodges, too. 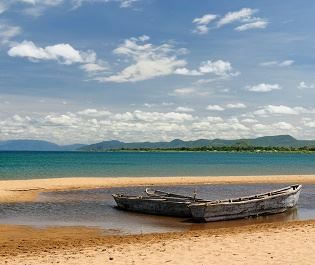 When thinking of African safaris, we conjure up the idea of remoteness, intimacy, and incredible experiences. All this and more can be found here. We love Katavi's exclusivity, giving you a front row seat to magnificent buffalo and lion as they graze in the endless plains. 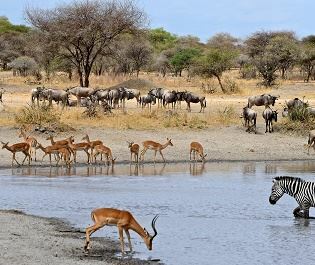 Ruaha's luscious plains create a beautifully untouched oasis for a myriad of wildlife, including handsome antelope, hardy waterbuck, and elegant gazelle. 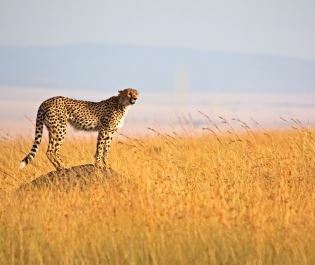 Africa's largest game reserve is a remarkable place, offering a classic safari experience with a touch of luxury. 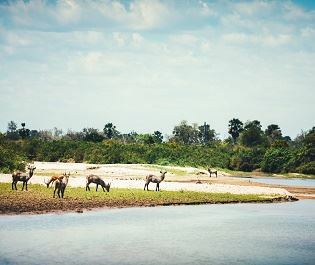 Some of our favourite river safaris have been here. Lake Manyara is one of our favourite hidden gems - and with beautiful flora and fauna at every turn, we're sure it'll become one of yours, too.